If you can’t, then you may have a problem. When people just aren’t buying your product, it just might be because they don’t know what you’re selling! Content is king … and well-written, engaging content can bring loads of unique and organic traffic to your website. Poorly written or overly technical content ensures your average visitor is clicking as fast as they can to escape your website. How does a website work for my business? Websites are vital for any business – whether you’ve been established and running for awhile, or just getting started. If you want to reach customers, no matter where they are, you have to have a website. Your potential customers are turning first to the web for research, for understanding, and for referrals. Without a web presence, the products and services you sell just aren’t going to be found by the buyers who are out there looking for you. How does good content work? We’ve all experienced it … we type in a search term, click a link, and all of a sudden, we have our answer. When your site is filled with high-quality content, written to engage and enthral your target audience, they stay on your website and get in touch with you. Poorly written content means they click the next available link as fast as they can. Because good content and search engines work hand in hand, you need a content strategy that works with your SEO strategy. Why is it important to invest in good content? 1. The most important sales channel available to you today is The Internet. Your customers are using search engines to research solutions for their problems and you want them to find your services and products first. You also want to ensure they are not scared away from your site once you get them there. 2. With a good content strategy, your content will appeal to your target audience. This means that the customers who are trying to find you will find you, and when they get to your site, they will be intrigued. It’s not as easy as it sounds. Not only does the content have to include well-placed, well-researched keywords, it must also be easy to read and understand, and most of all, captivating! 3. Decrease your overall costs relative to gaining new customers. With high-quality content, your organic traffic will increase, searchers will convert to buyers, and over time, your spending on PPC and other strategies will go down as your revenue stream expands. At Sigma Infotech, we understand how to draft content that drastically improves visibility to search engines and ensures an engaged reader audience. 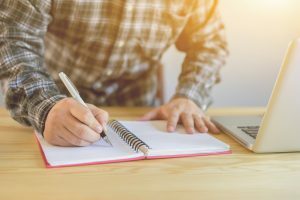 Using the expertise of highly skilled and experienced content writers, Sigma Info Tech puts strong writing skills to work for your website and your business. Our writers are skilled at engaging the target audience, getting into their heads, and capturing their interest so that they convert from mere clickers to valued customers. 1. Careful listening to your mission and goals. 2. Intense analysis of your target demographics and their needs. 3. Skilled application of keywords to fresh and original content. 4. Constant monitoring of the latest updates in SEO methodology in order to apply those changes to your company’s website content in the future. Marketing your products and services on the Internet is no longer a luxury – it’s a requirement if new customers are going to find you. High quality and readable content can make sure that your potential customers not only find you, but also quickly convert to paying customers. Generating organic traffic through fresh content ensures that your business can reduce PPC expenses over time.